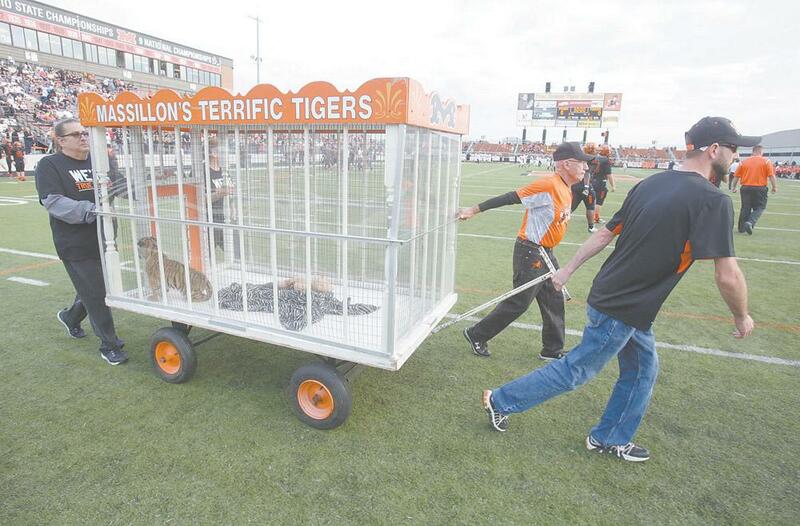 In the state of Ohio, the Massillon Washington High School’s football boosters club has purchased or leased tiger cubs from a local private exotic animal breeder each year for the past 44 years. 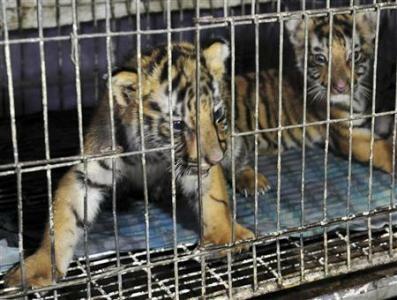 dubbing each “Obie,”, these cubs are separated prematurely from their mothers and declawed, the young animals are forced to experience the stresses of human contact, paraded in front of thousands of screaming crowds. Critics say that generations of these “retired” tigers routinely wind up caged as roadside attractions, or are sold into private hands as breeding animals, pets or worse, targets for canned hunting operations. 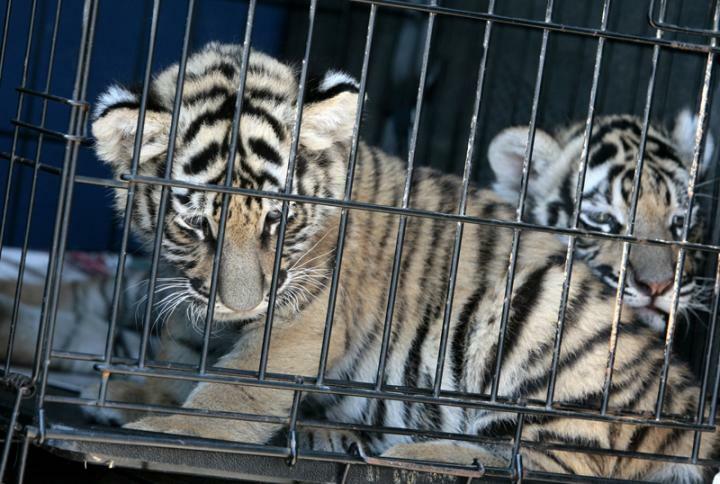 While the breeder can keep some details closely guarded, USDA reports are still a matter of public record — and they hint at a dismal life for the big cats. 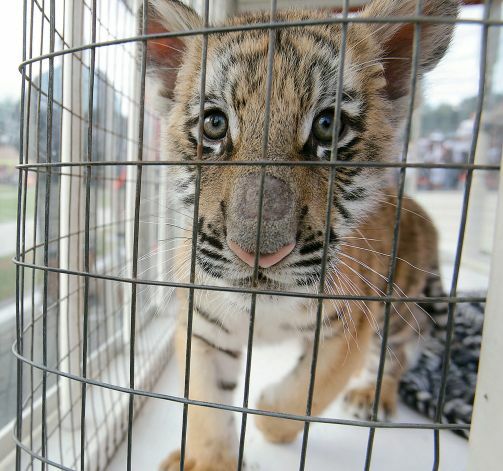 Stump Hill has been cited on numerous occasions for welfare violations, most recently on Dec. 5, when a routine inspection uncovered an unreported tiger cub who had been seriously injured after getting stuck in an enclosure fence. The inspector believes that the cub had chewed off part of her paw in an attempt to free herself. Stump Hill and Massillon Washington High School’s football boosters club have been the targets of multiple petitions in recent years, but none have been able to end the use of living mascots. 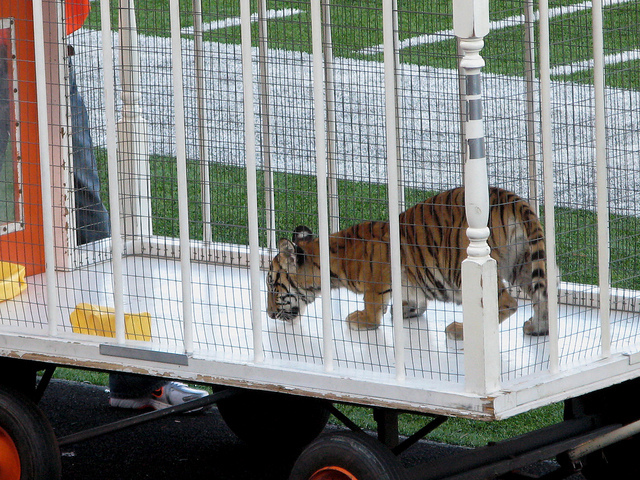 In fact, when Ohio updated its laws regulating exotic animals in 2010, the new legislation was written in a way that allowed the school’s use of tigers to continue. So far the schools boosters are not swayed by mounting pressure. “We talked about the petition but we really haven’t done anything as far as making a move to make any changes or do anything in the future,” said booster club historian Gary Vogt. 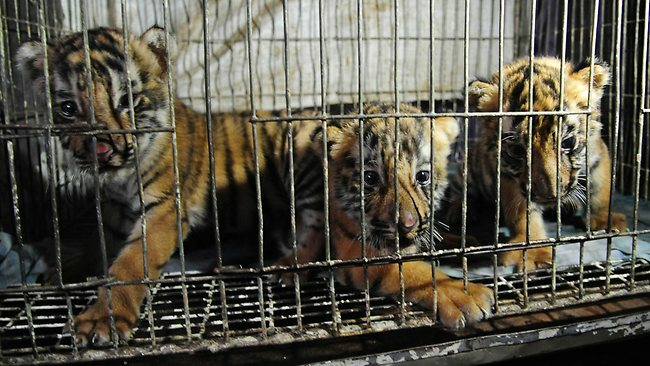 The World Wildlife Fund (WWF), estimates there are 5,000 tigers held in captivity throughout the United States “in backyards, urban apartments and sideshows, often by those untrained in handling tigers.” The WWF has called for a ban on private possession of big cats. This article was written by Stephen Messenger and published by The Dodo.